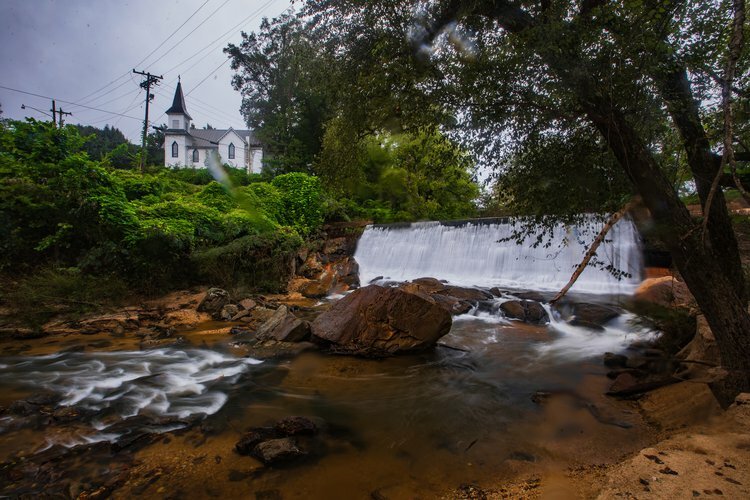 Surry County is rich in waterways. 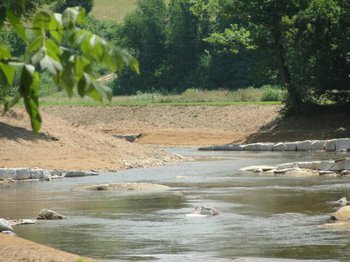 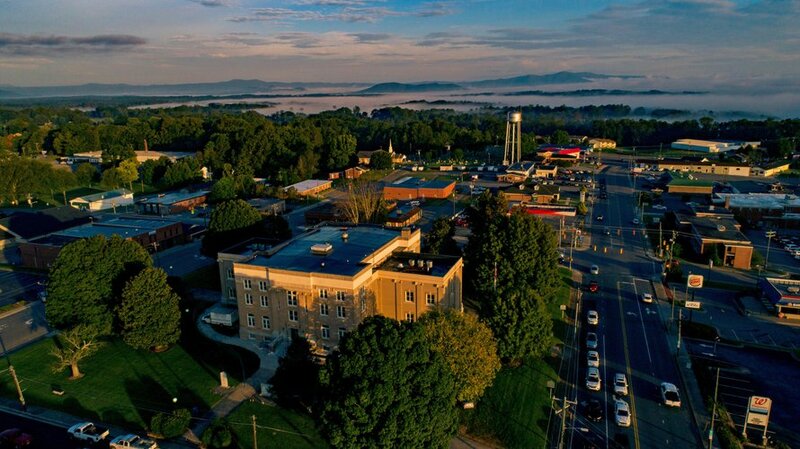 The Yadkin River, Mitchell River, Ararat River, Fisher River and Big Elkin Creek all flow through parts of the county as they meander the Yadkin Valley en route to the Atlantic Ocean. 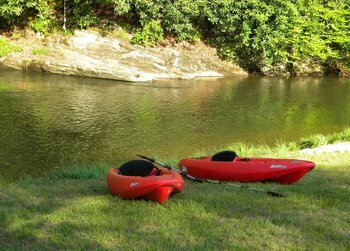 Together these waterways provide a wealth of paddling opportunities, particularly in the Elkin area. 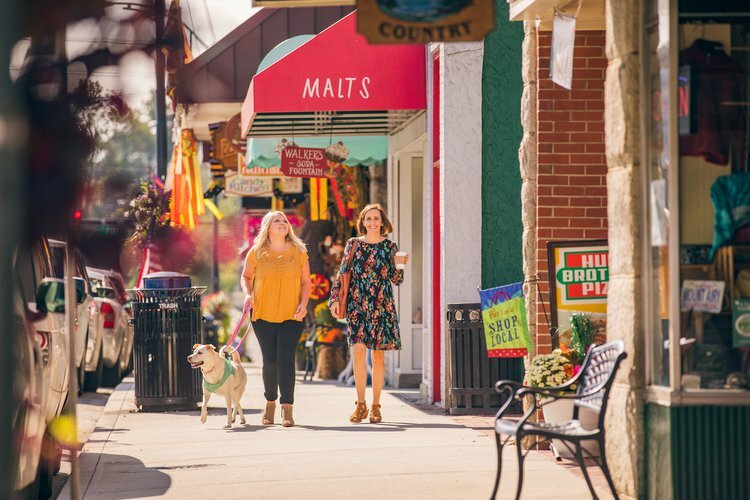 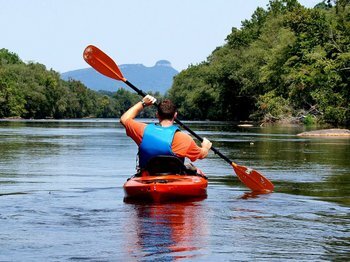 Visitors choose from expert outfitters for kayaking, canoeing and tubing, or they take advantage of launch points along the rivers to paddle their own vessels. 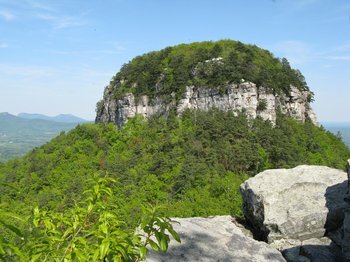 Several miles of the Yadkin River Canoe Trail frame the southern border of Surry County, including two miles that flow through Pilot Mountain State Park. 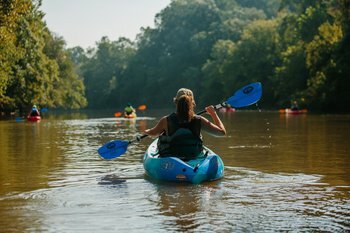 That two-mile segment is one of the most scenic stretches of the entire Yadkin River. 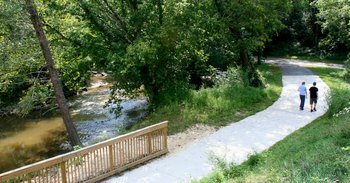 Birch trees shade the water and sycamores dot the river banks. 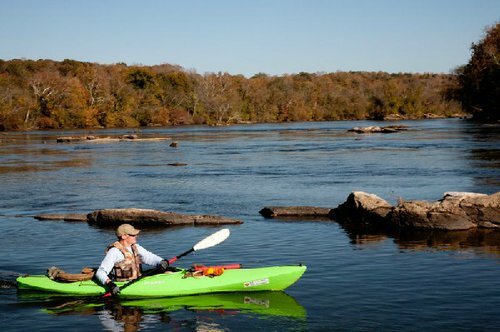 A 15-acre island and a 45-acre island punctuate the river as it moves through the state park, and there are canoe launches and canoe-in camping options in this stretch of river.